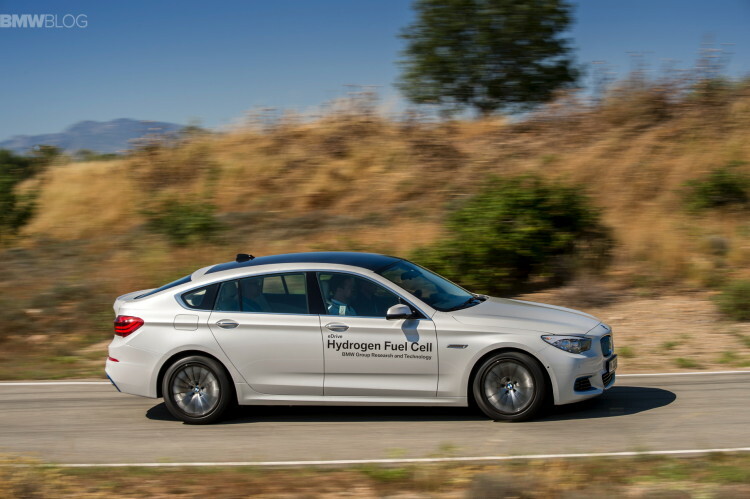 BMW first started with hydrogen powered cars with the Hydrogen 7 in 2005, a 7 Series powered by a V12 fueled by liquid hydrogen stored in a cryogenic tank, though BMW first started making hydrogen fuel cells in 1999. This was actually a pretty large success, with many celebrities, like Jay Leno buying them. While not a commercial success, it got the word out that hydrogen cars are a viable option for the future, and that in itself is a success. BMW has now created another FCEV (Fuel Cell Electric Vehicle) hydrogen powered vehicle, a demonstration vehicle to test out new technologies. 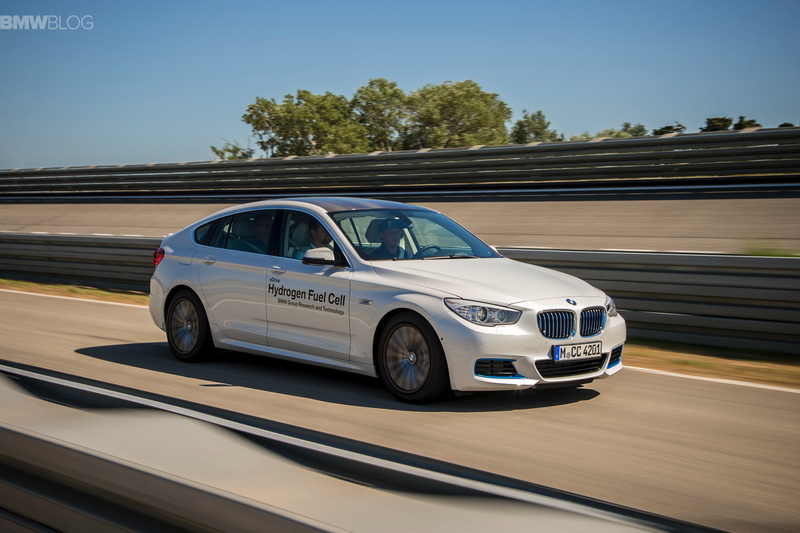 The vehicle is based on a BMW 5 Series Gran Turismo and uses a 245hp electric motor and high-voltage battery, similar to the ones used in BMW’s eDrive and i Division plug-in hybrids. A tunnel tank, used to store hydrogen, is mounted in between the two axles. 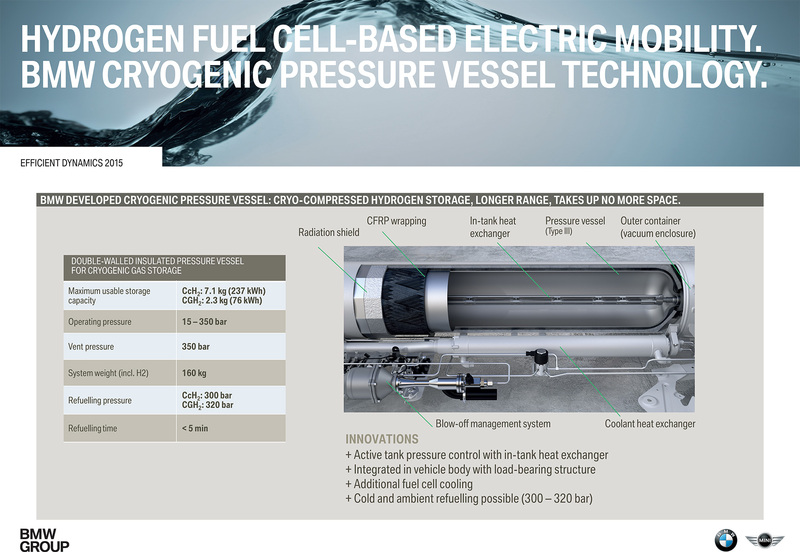 BMW uses a 700 bar CGH2 storage vessel or a 350 bar BMW patented cryogenic pressure storage vessel. 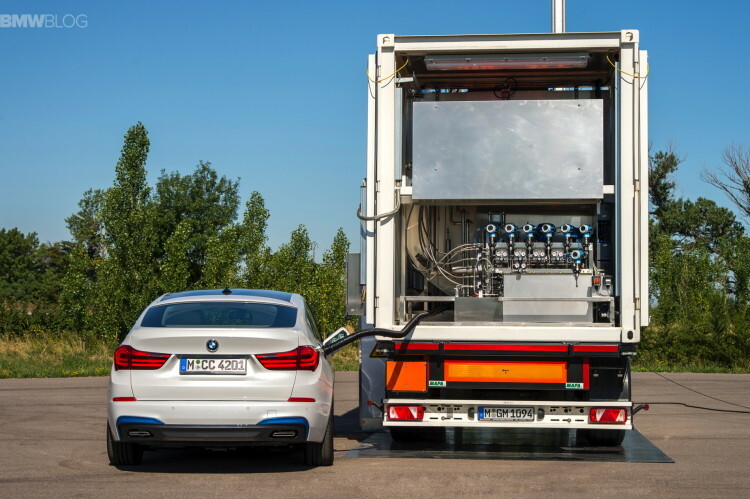 The cryogenic tank allows BMW to store gaseous hydrogen at low temperatures at 350 bar pressure, with an operating range of 500km (310 miles), giving a smaller tank similar range to a gasoline powered vehicle. Much of these technologies are results of the continued partnership between BMW and Toyota. It is worth nothing that even before the development on the 5 Series GT hydrogen fuel cell started, BMW has developed an i8 hydrogen fuel cell car which was used for internal testing at the secret facility in Miramas, France. Some of the main benefits for this FCEV hydrogen fuel cell technology are the size and range. Pure EVs are usually quite small, to conserve weight and be aerodynamic, but hydrogen powered cars don’t have to be. They can be big luxury cars like the 5er GT, because the hydrogen fuel cell can be refilled in minutes at a station, so conservation isn’t absolutely necessary, though it is desired. Also, because hydrogen fuel cells can be refilled so quickly and they last so long, a hydrogen powered car makes for a fine long distance machine. No need to stop every 80 miles to charge for three hours, just stop at the closest station that sells hydrogen fuel and fill up like you would a gasoline car. This is also beneficial to BMW i models, which could use a bit of help in the range department. The interior of the 5 Series GT prototype is almost identical with the production series car, the only things that give it away are a red emergency stop button which cuts off the entire system, if needed. There is also a revised speedometer specific to the functionality of a hydrogen fuel cell powered vehicle. The cylindrical tank housing the hydrogen takes the entire central tunnel of the car, so a lot of retrofitting had to be done to this 5 Series GT prototype. In line with the lightweight construction philosophy, the prototype also feature several carbon fiber parts, like the roof, the lift gate in the rear and the wheels (a combination of carbon fiber and aluminum). The 160 kilogram tank is made of aluminum reinforced with steel and wrapped with a carbon fiber reinforced plastic. A radiation shield is also wrapped around the tank, and the tank’s end caps are welded aluminum castings. 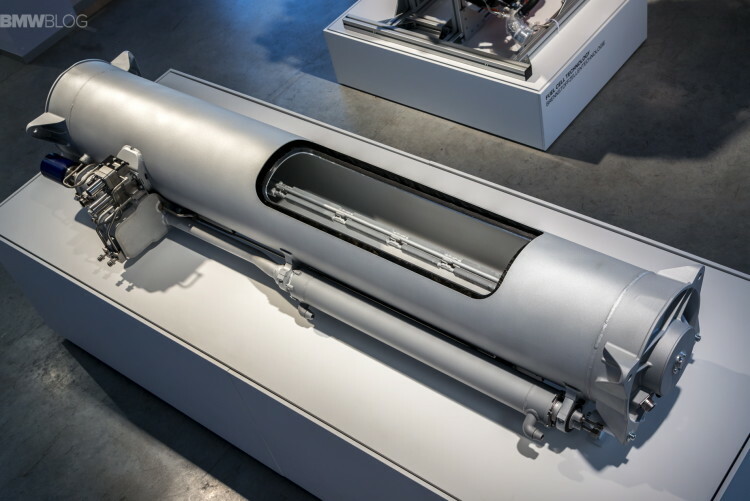 Thanks to a life expectancy of up to 350 bar internal pressure and an elaborate insulation surrounding the actual tank, the -210 to -230 degrees Celsius stored hydrogen can remain in the tank for a long time, even several weeks after it has been refilled. This is lot colder than the 700-bar system’s -40C temperature. BMW also demonstrated the refilling process which is as simple as in a conventional car: open the fuel filler flap, remove a small cap, align the hydrogen hose and push forward until it locks. The system now checks automatically if the connection is absolutely airtight and the insulated hose is cleaned by a thrice-run pump before the actual fueling begins. The prototype comes with a 7.1 kilogram tank which took less than five minutes to refill. 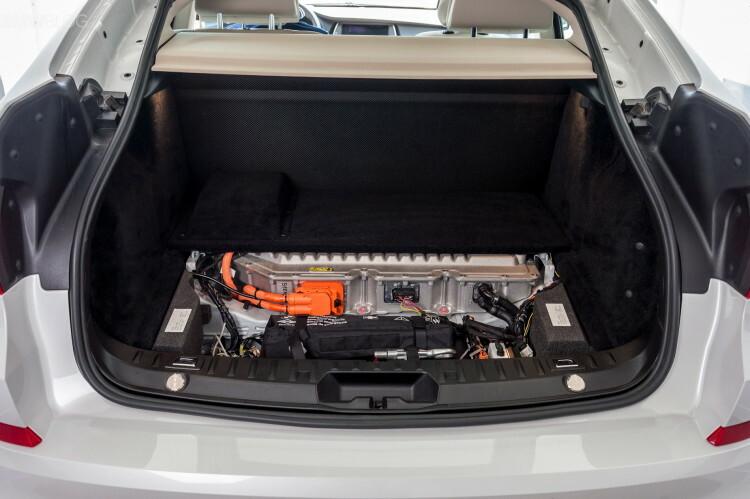 The 237 kWh of energy stored will give you 500km (310 miles) driving range. Just like an electric car, the hydrogen fuel cell prototype is silent upon starting, but after a few minutes the first noises can be heard inside the cabin, an indication that the fuel cell system has kicked in. BMW says that the louder than usual noises heard in the prototype are normal for the stage of this development and a future production car will address that. The car operates with a two-speed hydraulic automatic transmission which shifts at around 80-90 km/h. There is a slight hissing sound during heavy acceleration and we’re told it’s from a pump passing hydrogen and air through the fuel cells stack. When the driver pushes on the acceleration, the system tells the fuel cell stack to push hydrogen onto an anode plate, where each hydrogen atom is broken into protons and electrons. The protons migrate through polymer cell membranes to reach the positively charged cathode. Next, they react with oxygen creating water steam. Talk about high-tech here! With the help of air and hydrogen fed through the fuel cell, the system produces energy which is stored in an accumulator. The lithium-ion battery with a capacity of 1kWh is enough to add to the torque and propulsion. The core fuel cell stacks are a Toyota technology, with BMW supplying the new hydrogen tank, electric drive train and high voltage battery. 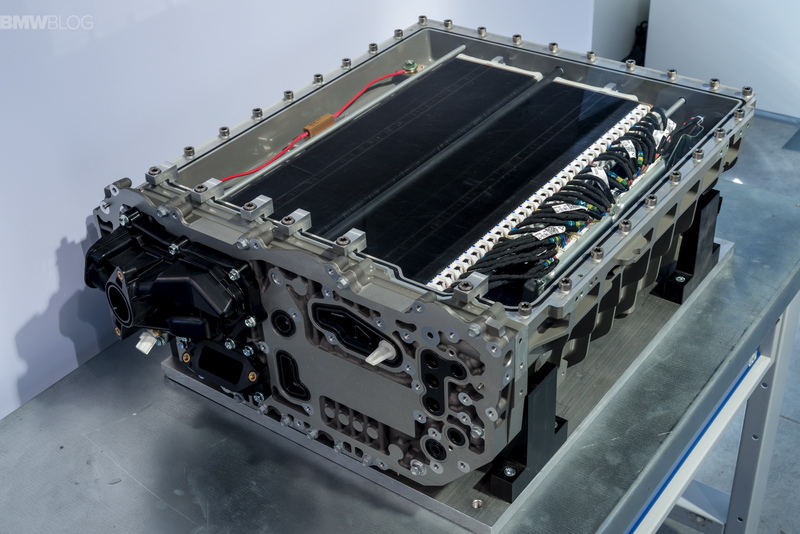 A fuel cell stack should last around 5,000 hours or 200,000 km (125,000 miles). 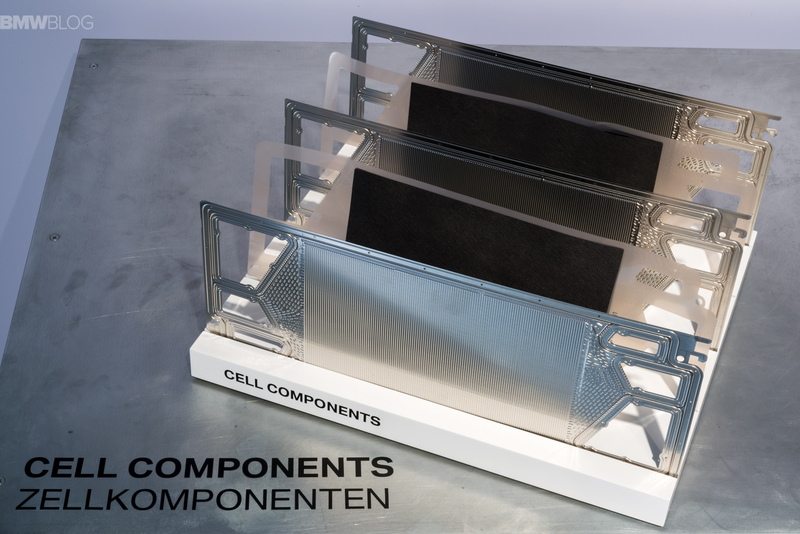 BMW says 200 to 400 cell-stacks can be fitted in the stack, depending on the power you want to achieve. BMW let us take the prototype through a closed-off track where we had the chance to test it through various driving modes and loads. Despite its large size, the 5 GT prototype felt agile with power immediately available upon pressing the pedal; it reminded us of the i3 driving style, but more dynamic. For quick acceleration, the car uses the rear electric motor with 160 kW (214 hp) to deliver promptly the power needed to the rear wheels. This is the next generation electric motor, basically an improvement over the current i3 motor. When running at low loads the fuel cell is 65 efficient efficient in turning the hydrogen fuel into forward motion. Under heavy load, that drops to 45 percent, a little better than a diesel engine. 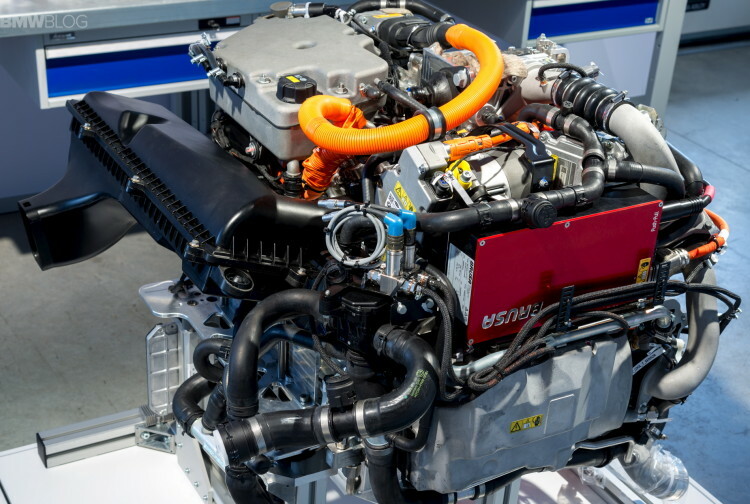 A petrol engine is about 36 percent efficient. 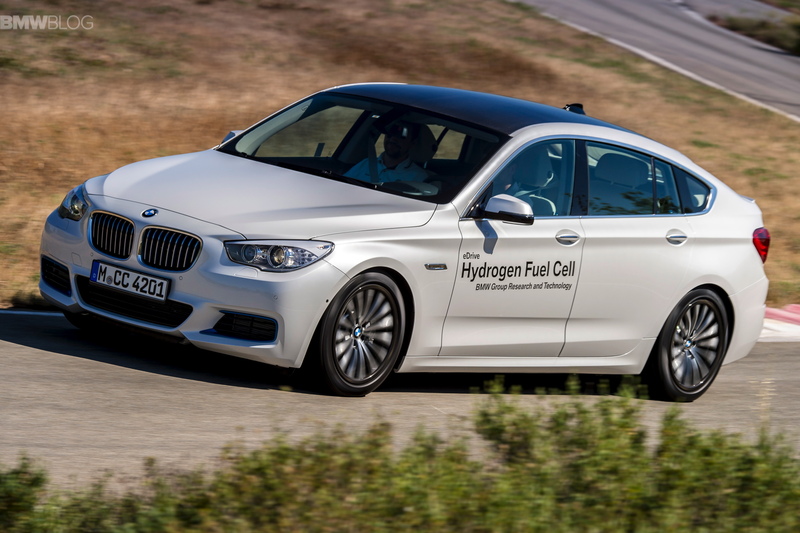 The 5 Series GT Hydrogen Fuel Cell can still hit 100 km/h (62 mph) from stationary in 8.4 seconds. Now, hydrogen stations aren’t the most common things out there. We know this. It’s very rare that you’d see one in your average American town, as they mostly reside in big cities like Los Angeles, Chicago and New York. However, the infrastructure is growing and quite rapidly. 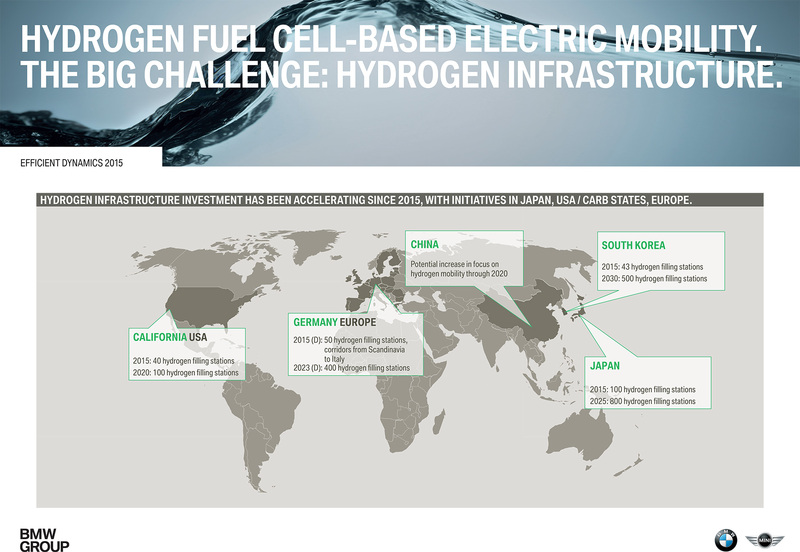 Countries like the US, Germany, China, South Korea and Japan are all accelerating their growth of automotive hydrogen fuel cell infrastructures. Japan is heavily investing in infrastructure as the country gears up for the 2020 Olympic Games where they aim to emphasize the progress of hydrogen fuel cell, a strategy that will highlight the independence from conventional fuel resources. Germany currently has 50 hydrogen filling stations, by 2023 the goal is to have at least 400. BMW and Toyota’s aim is to have an initial group of approved components by the year 2020, though FCEV vehicles depend on the development of a hydrogen fuel structure. So hopefully, within the next few years, hydrogen fill-up stations will be far more common. Hydrogen fuel cell technology is also a must for our future. 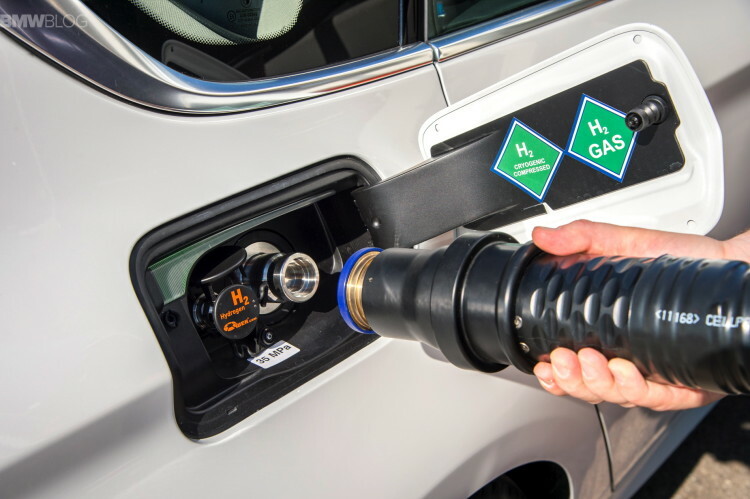 As our natural resources start to dry up, hydrogen becomes the best resource for sustainable energy, in not only the automobile industry but for everything. Electricity is very difficult to harness cleanly otherwise, as things like solar power and windmills can only do so much. But hydrogen is infinitely renewable, easy and fast, and most importantly, clean. Hydrogen fuel cells leave zero emissions behind, as the only byproduct of a hydrogen fuel cell is water. It just makes so much sense for BMW to pursue such technologies. 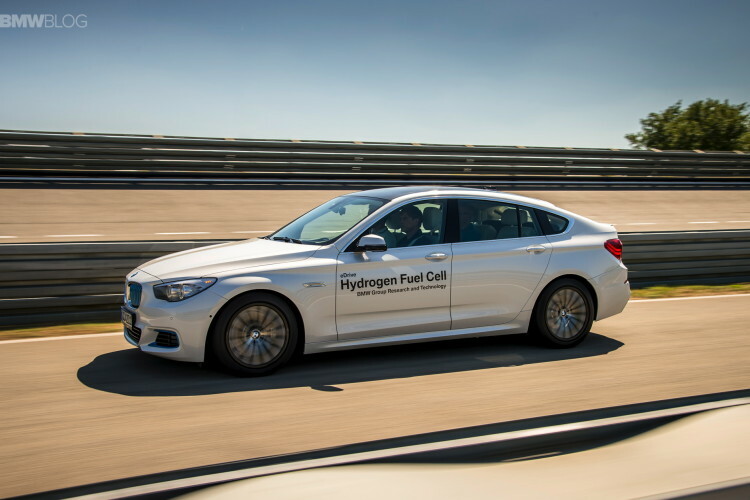 Using hydrogen fuel cells to power electric motors gives BMWs the kind of power and performance their customers are used to with incredible efficiency and no charge times. It’s also the cleanest form of energy we can use and is the most abundant source of energy in our known universe. While pure battery-powered electric vehicles are primarily used for city driving and short distances, the fuel cell technology provides the ideal solution for customers looking for a high driving range with zero emissions. The technology is also aimed at cars larger in size, like those 5 Series and above models. BMW utilizing FCEV technology is a slam dunk and one that will hopefully come to our streets quite soon.